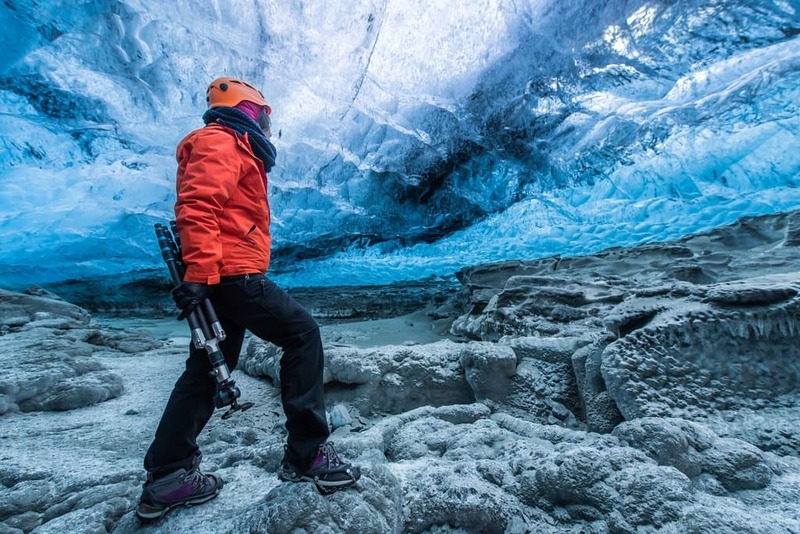 Join this tour along Iceland’s south coast to discover the stunning unique natural Blue Ice cave, glaciers, lava fields, volcanoes, strong rivers and magic waterfalls. Pick-up information: Pickup takes place between 08:30 – 09:00 – so please be ready from 8:30 at your pick up location. If you are a single traveler then a Single Room Supplement of 7.500 ISK is mandatory. Only small carry on luggage such as backpacks is possible. Please check with your hotel if they can store your luggage during the tour if you are staying again at the same hotel after the tour. Otherwise, you can use luggage lockers that are located in the center Reykjavík. We can also offer you to store your luggage for free at NiceTravel office, located in Fiskislóð 45, Space M. To avoid any delays on departure luggage must be in storage before pick up time. 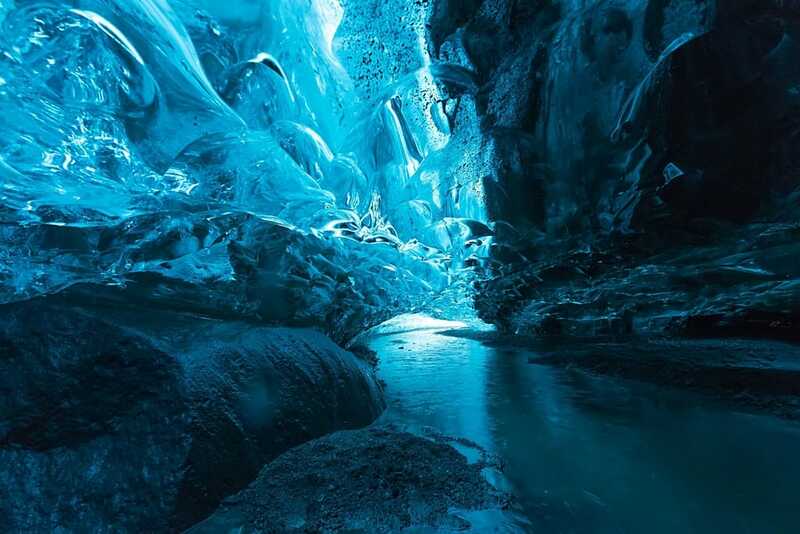 IMPORTANT: It can happen that the ice caving tour is canceled because of weather and/or safety reasons. Then we will find other activities when possible and refund the price difference. We reserve the right to change the order of the activities and sightseeing of the itinerary. 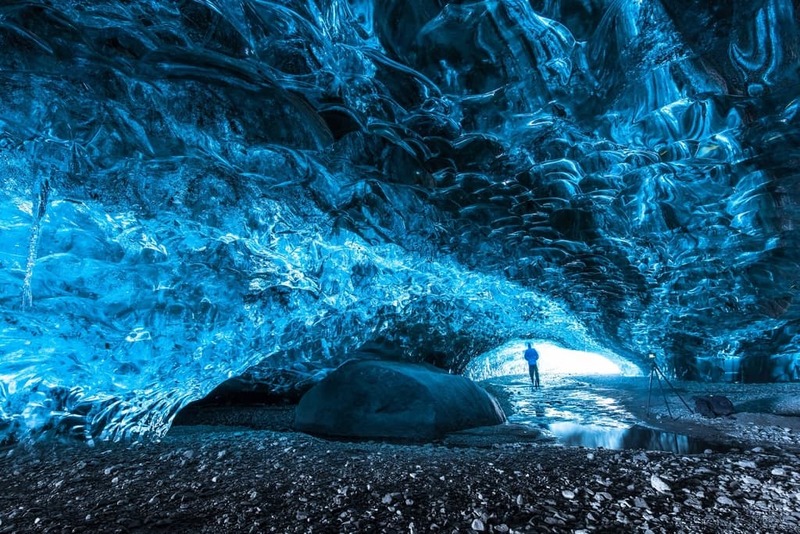 After being picked up in Reykjavik in the morning, your next two days will be an unforgettable adventure exploring the many amazing natural wonders of the South Coast of Iceland. 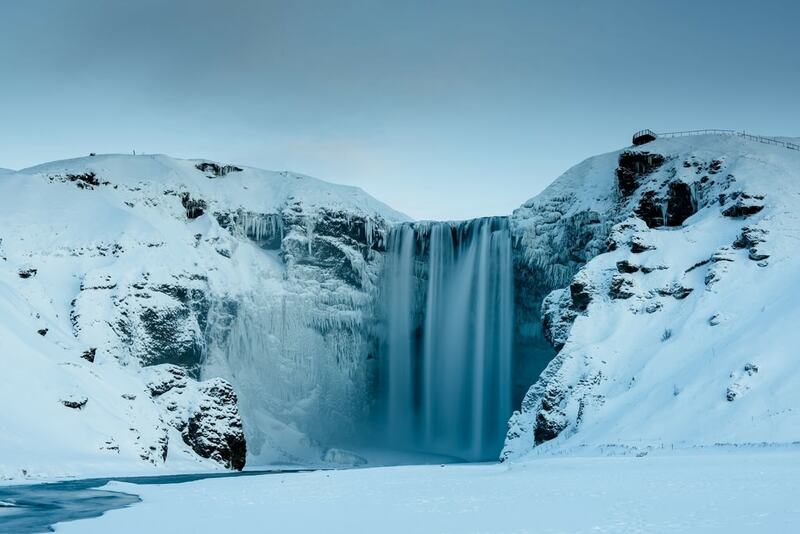 On the first day, visits to the famous waterfalls, Seljalandsfoss and Skogafoss are amongst the highlights but you also visit the less known but no less beautiful waterfalls of Gljufrabui, Kvernufoss, and Irafoss. The black sand beach of Reynisfjara with its amazing surrounding area completes this exciting day. 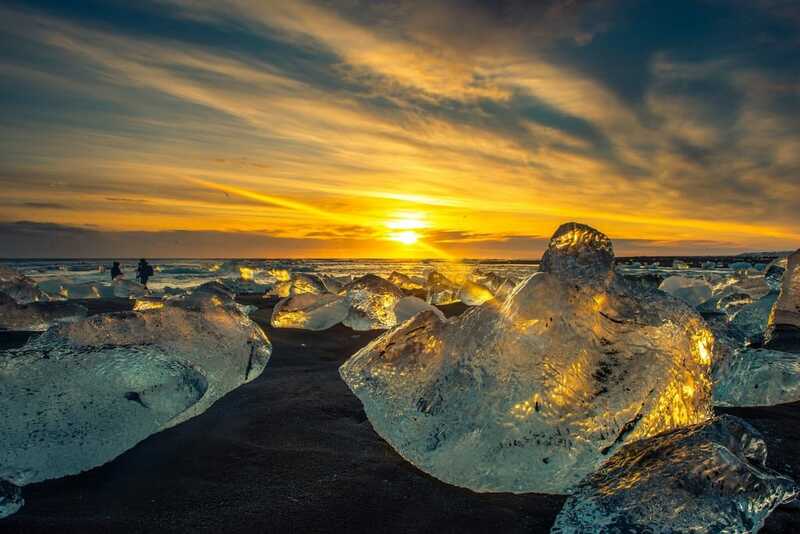 After a good rest, your adventure continues the second day where you will visit the beautiful Skaftafell and walk on the Diamond Beach, an amazing black beach scattered with icebergs, next to Jökulsárlón glacier lagoon. The stunning Jökulsárlón glacier lagoon is where huge icebergs float in ice-cold water and seals swim around them. Please note: it is only possible to bring a small carry on luggage such as backpacks for the tour. Setting out from Reykjavík, you will drive along route 1 passing through small towns and enjoying the beauty of the Icelandic countryside. 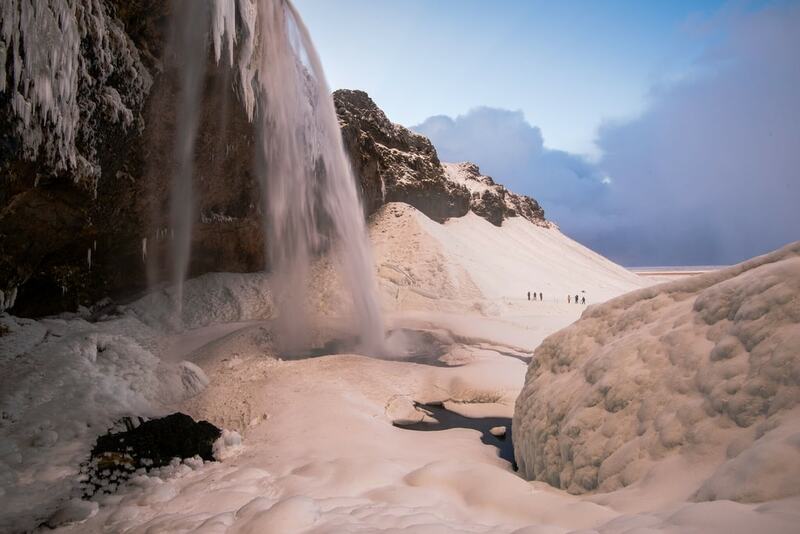 Your first stop will be at the famous Seljalandsfoss waterfall, which is located beneath the Eyjafjallajokull volcano. Remember to ask your tour guide all about the colossal eruption back in 2010. Close by is the beautiful but less known waterfall Gljufrabui. At the end of the day, your accommodation awaits in Seljaland, a lovely country guesthouse located in a beautiful spot close to Seljalandsfoss. On the way there and during the night, we will look out for the Northern Lights if conditions are favorable to see them. After this unforgettable adventure, you drive back to the Jokulsarlon where you join the bus again to head back to Reykjavik. On the way back, you will, of course, be able to enjoy the beautiful nature of the South Coast and to make a quick stop in Vik village for some refreshments, while keeping an eye out for the Northern lights if conditions are right. The tour is great, saw lot of waterfalls and glaciers but never felt too much. Our tour guide Valti was very nice. The hostel is great, not very clouded, the rooms are clean. Breakfast is great too. I would recommend this tour. Our second day was sunny and we went to skaftfell to see the sunrise. It was really unforgettable. Our tour guide is Luise, a reaaaally funny Italian girl. She told us many interesting story about Iceland. Our driver is David, also reaaaally funny and nice. I will come back Iceland in a summer! Wait for me lol! we tried the 2days ice cave tour and it was really well organised enough to see the breathtaking nature of the iceland.Most of all, i’m sincerely moved with our tour guide (Mike)’s kindness and consideration. He is not the one who explains and talks all the time during the travel but he is the one who cares every single members of our tour. There was a girl who went travel alone, Mike always tried to talk to her and made her feel not alone :)He told me that he doesn’t regret chaning his job as tour guide and i certainly can say that he made a right choice thank you Mike!! you made our travel!! P.S i will use this company next time if i visited Iceland next year! !